RAMS RAVENS AND WRECKS : Can the next one be a warship, please ? 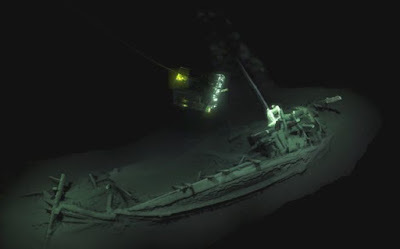 Another well-preserved wreck from the Black Sea. At 2000m depth ! A small freighter of the size of the replica 'Argo or so. Cargo intact, wood preserved.